A patchwork quilt of vineyards greets you as you wind your way down the 2 lane road the leads to the small town of Sant Sadurní d’Anoia. Off in the distance, you see the silhouette of the jagged mountains, and as you get closer to Cellers Most Doré (producing Cava under the brand name of Montesquius), the mountains become real as you can make out the details of trees and rugged rocks. A quick walk to the front doors from the car park leads you to a modern chic tasting room hugged by a large brick archway, which acts as the focal point in the room. In addition to a long tasting bar, chic old barrels have been painted white, and act as tables for tastings. Founded in 1918, Montesquius has changed ownership a few times, but is currently owned by five workers who bought back the company in 2013. Due to the change of ownership, and business structure of the larger organization who purchased the company in the 1990’s, the company decided to only keep 4 important hectors. The rest of the grapes used in Montesquius wines are purchased from 720 farmers, who are empowered to farm their land, make their own decisions, and grow the best grapes they can. 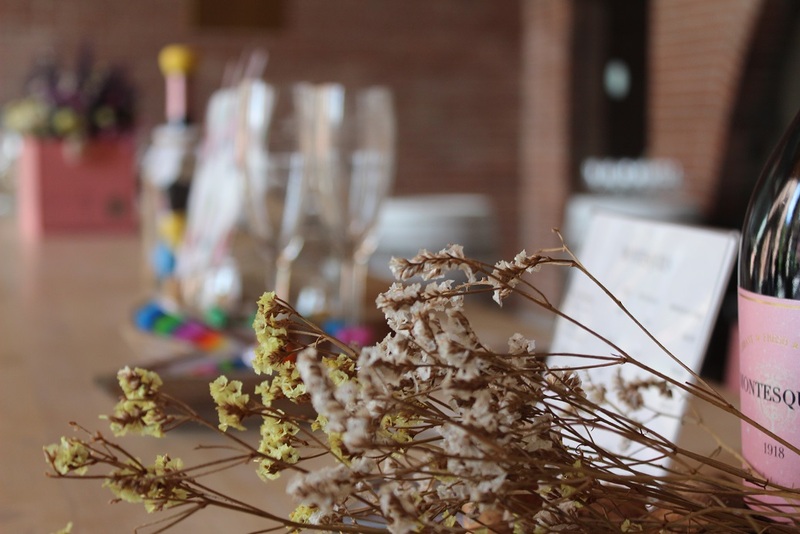 The company has a wide range of products, from entry level wines to premium. 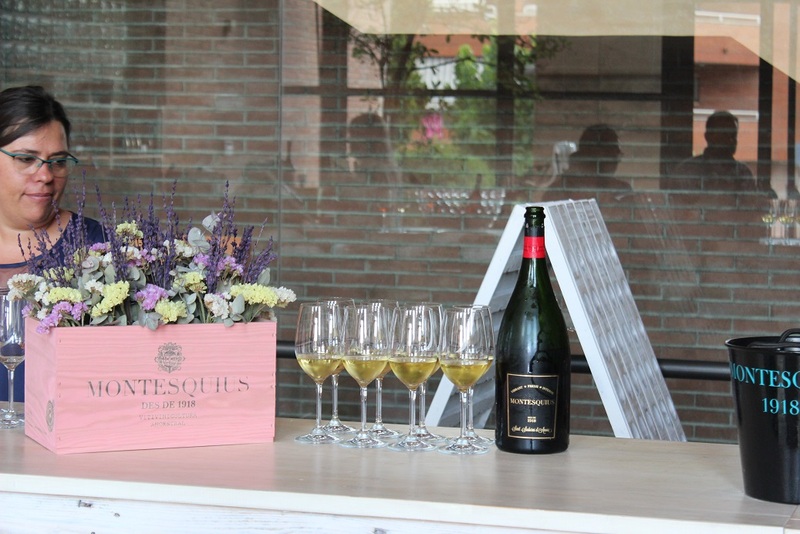 Montesquius makes DO Cava, DO Penedes still wines, and DO Catalonia still wines. In addition to utilizing the traditional 3 grape Cava blend, Montesquius also uses Chardonnay in many of the Cavas. A focus on long-aging Cavas continues to excite the two winemakers, and an interest premium Rosados is also a fun and unique project. The underground cava is quite extensive. Four floors deep, covering over 6 kilometers, it houses, on average, 6 million bottles of Cava, as the specialty is long-aging Cava. The company prides itself on a quality and personal touch. Because of this, the Cava bottles are inspected and hand-stacked for aging, in the cold, humid cave. The temperature stays between 16-17 degrees Celsius all year, and the oldest part of the cave was hand-carved about 100 years ago. Not only is this better for the wine, but it also provides more jobs to the local community, something that is very important to the owners. They employee about 50 people at this site. And, they understand the dependence of the business on the community, and the community on the business. Without one, neither would be successful. 2017 sees the Montesquius Cava amongst the 50 Great Cavas for the first time. 50 Great Cavas is a unique and annual competition only for Cava produced under the rules and regulations of the DO Cava. Montesquius Gran Reserva 2004 Brut Nature Magnum (94 pts 50 Great Cavas) – A very complex Brut Nature Gran Reserva. Roasted nuts, damp earth and orange peel on the nose. Complex in the mouth , long and citric. Robert J Mur Millesimé 2012 Reserva Brut Nature (93 pts 50 Great Cavas) – Quite floral and musky on the nose with a hint of red fruit character. Montesquius Gran Reserva 2004 Brut Nature Magnum also won a prize competing with sparkling wine producers from around the world in the annual competition 50 Great Sparkling Wines of the World obtaining a gold medal with 95 pts!